New data fields coming to Garmin handhelds? A recent beta firmware update for the Garmin Montana series brought twenty new data field options to the device, as well as data field categories. You can see four of the new data fields in the screenshot above. The Vertical Distance to Destination is sure to be a hit for the peak baggers among us. Hopefully these will make it to other models as well. Apparently it’s video week at GPS Tracklog. I’m still learning iMovie after my recent move to Mac, so I’m not claiming pro quality. UPDATE: I’ve posted my full hands on review of the Garmin Montana 600. I’ve also got pages up for the Montana 650 and 650t. 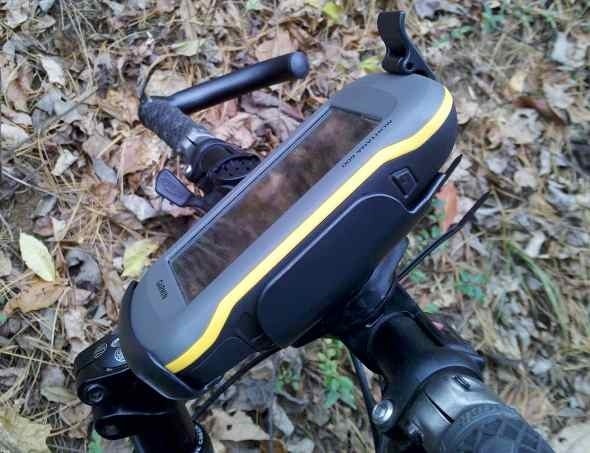 I’ve had a Garmin Montana 600 in hand for a couple of weeks now and so far I’m pretty impressed with it. I initially thought it was targeted at the motorized crowd (ATVs, 4WDs, etc.) due to its size, but now I’m not so sure. While it does make the Oregon series look positively diminutive, in comparison to the 62 series, it’s shorter, is the same thickness, and weighs just an ounce more. Garmin is announcing a new handheld line this morning, the Garmin Montana series. Three models, the Montana 600, 650 and 650t, make up the line, which feature the ability to rotate between portrait and landscape orientations and give turn-by-turn directions.